The NPN Caribbean Conference Cruise is a cruise that is set out o make great people better. This will be over twenty years in the making, and the NPN Caribbean Cruise is teaming up with the Caribbean to bring a cruise of empowerment. 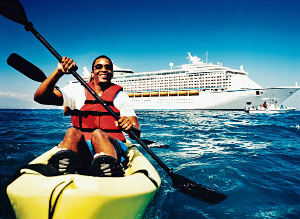 The NPN Caribbean Cruise is also coupled with the Music Festival At Sea. The Music Festival At Sea, also part of the NPN Caribbean Cruise Conference, is expected to have amazingly talented singers, dancers, and entertainers present. The music provided will be uplifting, life changing, and will cause you to have to desire to move forward. The NPN Caribbean Conference Cruise will places such as San Juan, Puerto Rico, St. John's, Antigua, and Castries, St. Lucia just to name a few. The food and everything to go with it will be amazing. You can expect people to be uplifting during your duration of the NPN Caribbean Conference Cruise. The NPN Caribbean Conference Cruise is all about being a leader. So, you can expect everyone to try to raise your low self-esteem, yet you will be taught to relax and let your worries worry you no more, but at the same time you will be pushed to continue the good fight of life, and give you the desire to come again on another cruise. Itinerary events include fun things like casinos, thrift shops, and networking we some of the greatest leaders this planet has to offer. More advanced Itinerary events include seminars are being better leaders, workshops where you can get one-on-one with the speakers, and much music for the soul.